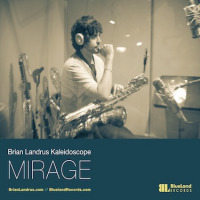 After exploring post-bop and free-ish jazz with his first two CDs, multi-reed player Brian Landrus extends his stylistic range into the realm of electric jazz with Capsule. Despite listing Fender Rhodes and electric guitar among the CD credits, Capsule is not really a fusion record. Rather, it's a jazz recording with some electronic instrumentation, along the lines of what Dave Douglas and Donny McCaslin have been doing with their electric bands. Landrus' band is well-suited to explore this realm. Pianist Michael Cain's prior employment with drummer Jack DeJohnette, and drummer Rudy Royston's tenure with trumpeter Ron Miles have prepared them particularly well in this regard. Guitarist Nir Felder is also well-versed in the ways and means of plugged-in jazz, as evidenced by his work with saxophonist Greg Osby and drummer Terri Lyne Carrington. With all of this instrumental firepower at Landrus' disposal, it's a bit surprising that Capsule seems a bit tentative. Nearly all of the tunesattractive, easygoing originalsadhere to the basic head-solos-head formula. 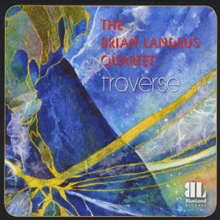 Landrus essays the melodies alone, or in tandem with Felder, before the band launches into a succession of finely- wrought improvisations over the changes. Landrus explores different rhythmic feels, but each of the tunes stays pretty much in the same groove from beginning to endreggae for "Like The Wind," R&B-derived mellowness for "I Promise" and "Now," and slow blues-rock on "71 & On The Road." Only "Wide Sky" breaks this mold, morphing from a Pat Metheny-esque Latin-ish ballad to a jazzy blowing tune over eight-plus bracing minutes. While there's nothing wrong with the music here, Capsule seems a little pat by comparison to Landrus' earlier efforts. That said, this CD is packed with wonderful individual performances. 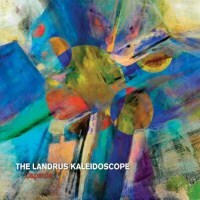 Landrus is a commanding voice, no matter what instrument he's got in his hands. His work on the baritone sax shines brightest, illuminating "Wide Sky," "71 & On The Road," and "Now," with deeply-felt, beautifully-paced solos. 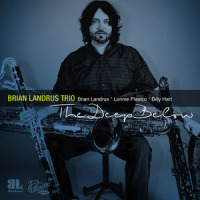 Landrus is no slouch on bass clarinet, either, as his incendiary solo on "Beauty" proves. The sidemen also get plenty of space, and each turns in at least one remarkable performance. For Felder, it's his emotive, reverb-drenched solo on "Like The Wind." Cain's chill Rhodes shines on the fast-paced "Beauty" and on the Headhunters-inspired title track. Bassist Parrish chips in some nice improv on "71 & On The Road." But the real catalyst here is drummer Rudy Royston, who continually threatens to steal the showhis turbulent, polyrhythmic, and daring playing brimming with energy throughout, while his playing on the ballads "Now" and "I Promise" is both masterfully detailed and appropriately laidback. Capsule provides a tantalizing glimpse of an unexpected side of Brian Landrus' capabilities as a player, composer, and arranger. Hopefully, he'll continue to develop the electric side of his artistry further on subsequent recordings. Though Capsule largely stays in familiar territory, despite the instrumentation and overall concept, there's a lot to like. Track Listing: Striped Phase; Like The Wind; Beauty; I Promise; Capsule; 71 & On The Road; Wide Sky; Now. 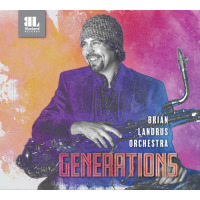 Personnel: Brian Landrus: baritone saxophone, bass clarinet, bass flute; Michael Cain: Rhodes, piano, electric bass; Nir Felder: guitar; Matthew Parish: bass; Rudy Royston: drums.